This event has been postponed until the rain date on July 26th. Hope to see you then! It’s summer, time for music in Ramler Park. 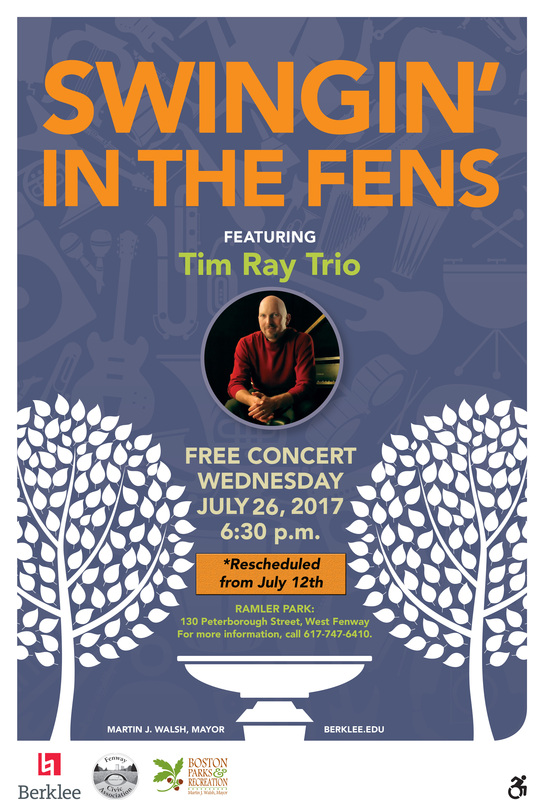 Please join us for a night of Swingin’ in The Fens with featured performers: Tim Ray Trio. Here’s a link to their sound. We hope you can make it!